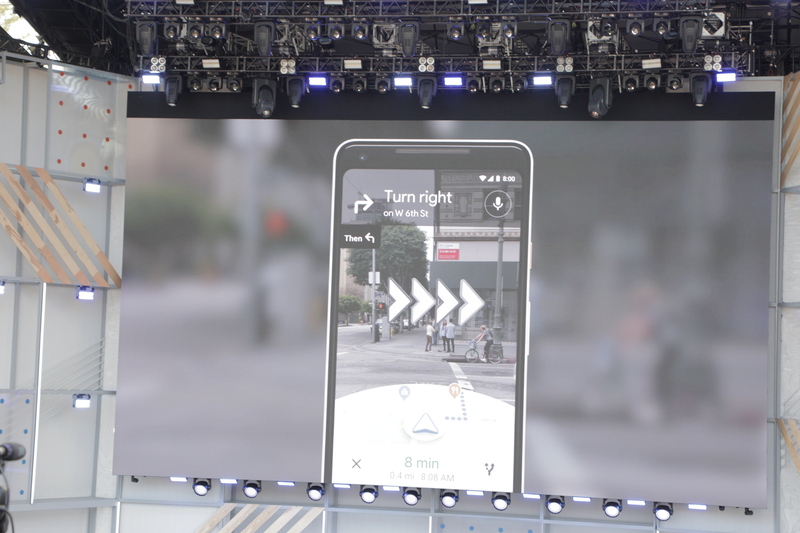 Google managed to elicit an audible gasp from the crowd at I/O today when it showed off a new augmented feature for Maps. It was a clear standout during a keynote that contained plenty of iterative updates to existing software, and proved a key glimpse into what it will take to move AR from interesting novelty to compelling use case. Along with the standard array of ARCore-based gaming offerings, the new AR mode for Maps is arguably one of the first truly indispensable real-world applications. As someone who spent the better part of an hour yesterday attempting to navigate the long, unfamiliar blocks of Palo Alto, California by following an arrow on a small blue circle, I can personally vouch for the usefulness of such an application. It’s still early days — the company admitted that it’s playing around with a few ideas here. But it’s easy to see how offering visual overlays of a real-time image would make it a heck of a lot easier to navigate unfamiliar spaces. 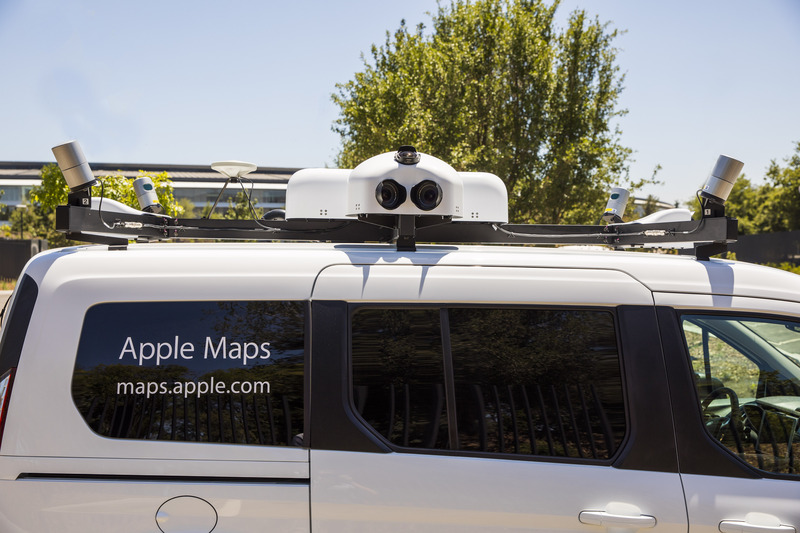 In a sense, it’s a like a real-time version of Street View, combining real-world images with map overlays and location-based positioning. In the demo, a majority of the screen is devoted to the street image captured by the on-board camera. Turn by turn directions and large arrows are overlaid onto the video, while a small half-circle displays a sliver of the map to give you some context of where you are and how long it will take to get where you’re going. Of course, such a system that’s heavily reliant on visuals wouldn’t make sense in the context of driving, unless, of course, it’s presented in a kind of heads up display. Here, however, it works seamlessly, assuming, of course, you’re willing to look a bit dorky by holding up your phone in front of your face. There are a lot of moving parts here too, naturally. In order to sync up to a display like this, the map is going to have to get things just right — and anyone who’s ever walked through the city streets on Maps knows how often that can misfire. That’s likely a big part of the reason Google wasn’t really willing to share specifics with regards to timing. For now, we just have to assume this is a sort of proof of concept — along with the fun little fox walking guy the company trotted out that had shades of a certain Johnny Cash-voiced coyote. But if this is what trying to find my way in a new city looks like, sign me up. AR-enabled shopping is expanding again today. This time, online furniture retailer Wayfair is introducing an augmented reality feature in its mobile app for Android that will allow customers to visualize furniture in their own home ahead of purchase, just by holding up their smartphone. The feature, called “View in Room 3D,” was previously available on iOS, leveraging Apple’s AR platform ARKit. ARCore, Google’s answer to Apple’s AR platform, was publicly released last month, giving developers a way to integrate AR technology into their Android applications, where they can reach a potential audience of over 100 million Android devices. Wayfair is not the only shopping site to quickly roll out ARCore support now that it’s available – eBay yesterday launched a feature for sellers that helps them find the right shipping box using AR technology, and promised other AR-enabled features this year. IKEA also just released an Android version of its AR app IKEA Place this week. Other retailers have been experimenting with AR, as well, including Amazon and Target. Retailers’ interest in AR is not just because it’s new and trendy – it can help them address the real issue that online shoppers face, when trying to buy furniture from a website, instead of in person. It’s often difficult for non-designers to really get a sense of what a piece of furniture will look like when placed in the room. Will the new sofa go well with the existing curtains, carpet, and other furniture? Will it fit in the space? Wayfair’s app helps with those questions, as it projects the furniture or décor in 3D at full-scale, and anchors them to the floor. This lets shoppers see if the object in question fits in the room – without needing to break out their measuring tape. It also helps them get a visual sense of what the room will look like with the new furniture added. And because the image is in 3D, you can walk around it to see it from different sides – which also helps with consumers’ buying decisions. “Leveraging augmented reality, the Wayfair app allows shoppers to transform their homes into virtual showrooms, allowing them to see their favorite products up close and at every angle – all in their very own space,” said Steve Conine, co-founder and co-chairman, Wayfair, in statement about the AR feature’s release. “We knew early on that augmented reality had the potential to completely transform the way people shop for their homes, and as it’s quickly moved toward mainstream adoption, we’re excited to have played an integral role in shaping the experience for millions of shoppers,” he added. Furniture has been one of the more difficult businesses to transition online, not only because of shipping costs for heavy items, but also because consumers still often want to see the products in real life. They want to touch the fabric, try out a chair’s cushions for comfort, and see the true colors – not just an online photo. But things are changing, as more commerce shifts online – the channel that’s prefered by millennial shoppers, who are now the largest demographic (37%) of the furniture-buying market. Wayfair is one of the companies capitalizing on this shift, to the tune of $4.7 billion in net revenue in 2017. And with the elimination of the furniture showroom, it’s also been quick to jump on new technologies to help its customers better shop, including web-based clipboards, visual search, mobile messaging, and now, AR – all which give it a competitive advantage versus traditional retailers with more static sites. The company also recently updated the AR feature in the iOS app that lets customers now record a video of the item in AR, instead of just taking a photo. This feature has a Snapchat-like feel, as you just press and hold the record button to make the recording. You can then walk around the furniture in the video, in order to capture it in 3D then share with friends and family. This feature will arrive in the Android version soon, we understand. In the meantime, the Wayfair app for Android is available here.